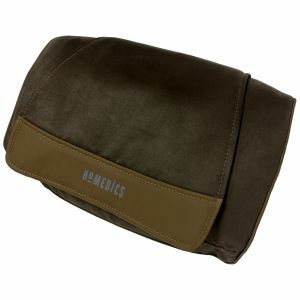 The new HoMedics SP39H is a versatile cushion providing a 3D massage experience, including Shiatsu, Vibration and Heat. 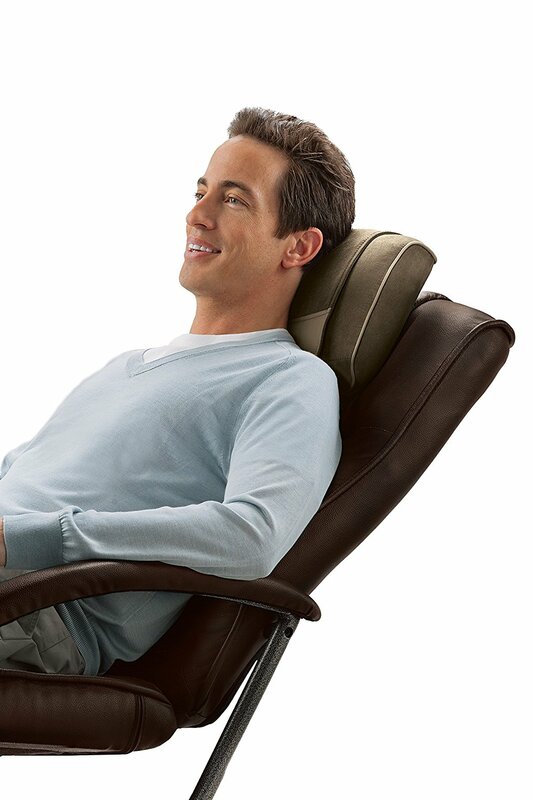 It allows you to target specific areas using forward and reverse Shiatsu mechanism for stress relief. 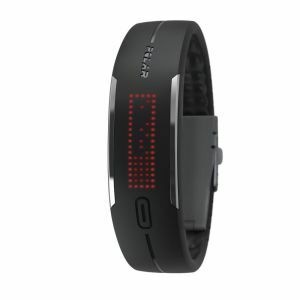 The remote control allows you to operate and customise the massage settings. It has a luxurious soft suede effect fabric for extra comfort and a compact design allowing portability, including a strap to secure to most chairs. The contoured, ergonomic shape allows for multi-usage: lumbar, shoulders or legs. Comes with a 2 year guarantee. NOTE:This product does have an Auto Shut off after 15 minutes of use. 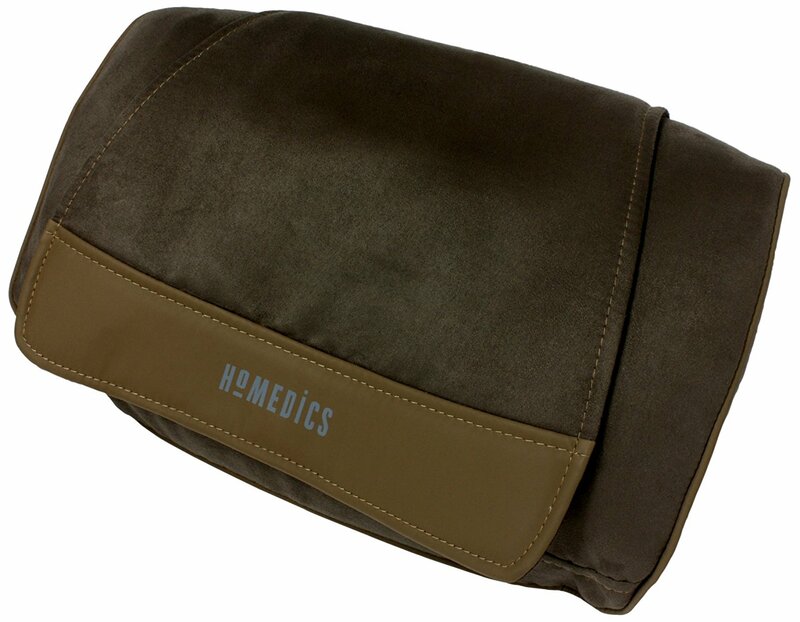 This multi-purpose shiatsu massaging pillow from HoMedics gives you a 3D massage using shiatsu, vibration and heat massage. 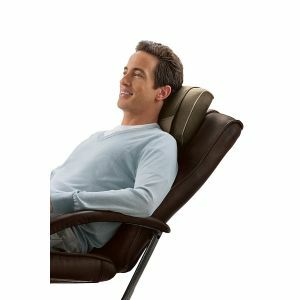 You can secure it to the back of your chair, sit back, and let the pillow do the work of relaxing you. 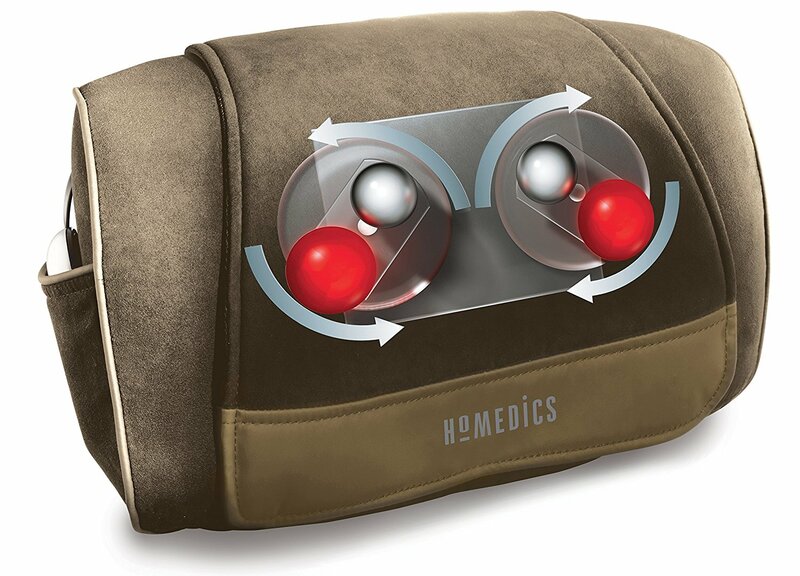 The multi-purpose massaging pillow has a forward and reverse shiatsu mechanism that helps with targeted stress relief. There is a remote control that allows you to customise your massage, offering you a choice of 5 speed settings. 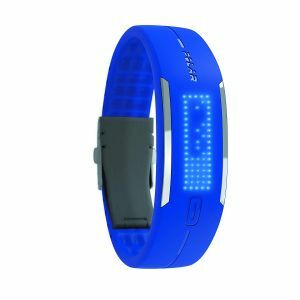 It is also capable of giving you a deep tissue massage, making it useful for rehabilitation and recovery. 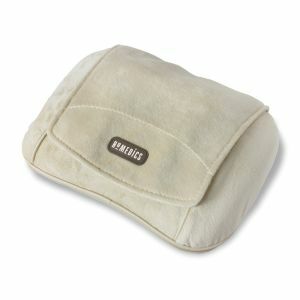 With a natural brown, luxurious soft touch suede-effect fabric cover made from natural materials, this body massager feels soft to the touch. It comes in a compact design, and is a portable massager pillow that comes complete with adjustable rear strap that you can use to secure to most chairs. Please note: This item is only returnable if faulty due to manufacturer defect. It is exempt from 14 day remorse return due to hygiene, health & safety reasons. Your statutory rights remain unaffected. 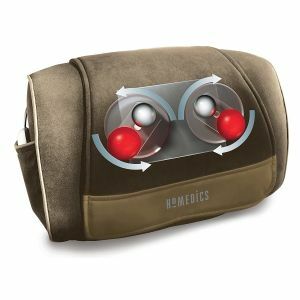 Homedics Shiatsu SP-39H Cushion Back Neck Shoulder Lumbar Heated Delux Massager?